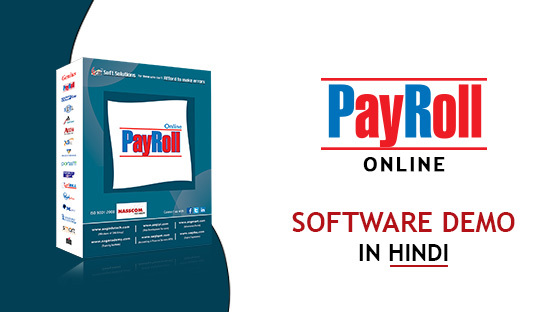 Gen Online Payroll software is a complete solution to handle all HR related tasks such as salary calculations, daily attendance, and other relevant employee data management work. 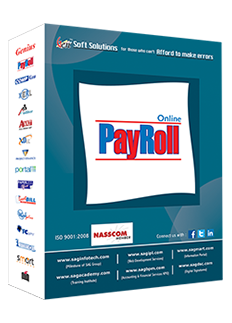 This online version of the Gen Payroll software is linked up with Desktop Payroll Software from where users can easily fetch the data. The employee data management is very important for any company whether it is an MNC or a particular location based firm. As the number of employees increases, the complexity of any database also increases, and it becomes very hectic for any HR professional to maintain that, Now, you don't need to worry as the online payroll software helps the company HR to update the employees information in a discrete manner. Gen Online payroll software helps any company to make a virtual joint between the HR and employees of the company, by which the HR can directly upload any new information or notice which will be visible from the specific IDs allocated to every employee. It includes employee login, in which a special Id with an account will be given to any employee. So, precisely we can say that our Online Payroll will help you organising the information of your employees in a well-defined manner. As per saying 'TIME IS MONEY', therefore, this software saves your golden time and makes the management easy and handy. A unique ID and Password is provided to each and every employee by the Company. This ID is used to login into the system. The software gives a facility to view salary month wise along with proper bifurcation of deductions, to download payslips and printouts. This option is for all employees of the company, providing them the facility to check their monthly attendance, daily attendance and attendancy summary with all log details. It also maintains several details such as insurance, mutual funds, house rent, etc. It can be download also. This information is useful during of return filing. This option uses to apply paid leave and leave without pay and check closing balance of leave. Employee uses this option to claim various types of reimbursements like conveyance bill, food bill etc. A facility to attach the scanned bill voucher is also provided. This option uses to easily download computation of salary, annual salary certificate, form 16, 16AA and 12BA. This option allows you to directly uploaded employee details like salary, attendance, investment, etc from desktop software and vice versa. The alterations done by the employee here would be automatically sent to the Employer's Mail ID. In this feature, the company can trace GPS location of an employee in order to justify its assigned clients meeting. It is a very useful feature in increasing the productivity of marketing team. This option is exclusively bundled along with the app. In this feature, the company can manage, assign and extract database of the employees daily market activities with an admin panel exclusively offered additionally with the app package. Admin Login: This login is for higher authority of the company e.g.. CEO, Director, etc. HR Login: This login is for HR’s of the Company. Employee Login: This login is for all the employees receiving salary. Salary Slip can directly be downloaded using login panel. Multi Company data can be maintained for unlimited number of employees. Salary reimbursement Bill can be applied online and an administrator can approve or reject it online. Provision to apply for leave online and an administrator can approve or reject it online. Investments like House Rent, Insurance and Mutual Fund, etc. can be shown by an employee to admin & hr by our software in a special panel. Data relating to employee, hr and admin is secured & stored on the server. A unique feature of event manager is also provided by us. In this, admin & hr can create an event & send an invitation to all the employees. As an employee login into the system a message will be displayed regarding that event.